Upgrade your PC to uncompromising performance. 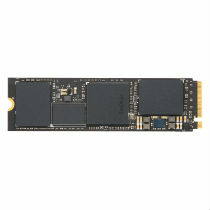 The SanDisk Extreme PRO® M.2 NVMe SSD delivers spectacular performance while providing superior durability thanks to our latest 3D NAND technology. With extreme read speeds of up to 3,400MB/s(1), 6x faster than typical SATA SSDs(2), it boots up fast, loads applications in a flash and gets you working—or playing— quicker than ever before. Installation is easy and the SanDisk® SSD Dashboard software makes it easy to monitor your drive’s performance and health. With capacities of up to 1TB(*), it’s prefect for large databases and scratch renders and it is backed by a 5-year limited warranty. With up to 1TB* capacity, the SanDisk Extreme PRO® M.2 NVMe SSD is great as a primary drive for creative workflow applications, high-fidelity gaming or for large databases and scratch disk renders. * 1GB=1,000,000,000 bytes; 1TB=1,000,000,000,000 bytes. Actual user storage less. (1) Based on internal testing; performance may be lower depending on host device. 1MB=1,000,000 bytes. (2) As compared to sequential read speeds of internal solid state drives based on internal speed performance tests. (3) As compared to sequential read speeds of internal notebook hard drives based on internal speed performance tests.